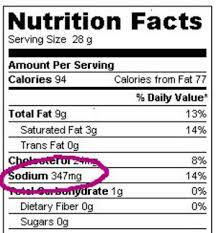 The Centers for Disease Control and Prevention (CDC) issued “Reducing Sodium in Children’s Diets: The Pressure is on to Keep Blood Pressure Down.” This CDC Vital Signs report shows that 9 in 10 U.S. school-aged children eat more sodium than recommended. A high sodium diet can lead to high blood pressure. High blood pressure is a major risk factor for heart disease and stroke. To improve cardiovascular health and help to prevent 1 million heart attacks and strokes by 2017 the CDC is asking everyone to join them in sharing this information and encouraging action. Skinnytaste.com saved that this soup coins the term “spoon-lickin-good,” and you’ll understand why after a sip of this thick, cheesy goodness buffed up with chunks of potato and broccoli florets. 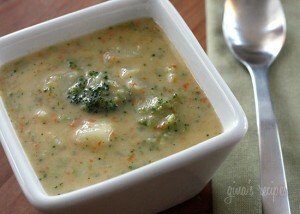 The soup base itself is made using fat free milk and reduced fat cheddar helping you trim down on the fat. Recipe makes 4 servings at 1 1/4 cup each. 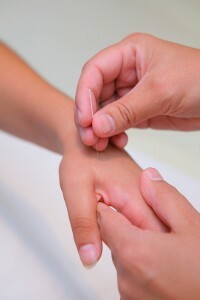 Celebrate Chinese New Year: Try Acupuncture Free! February 19th is the start of the Chinese New Year. To celebrate, National University of Health Sciences is offering free oriental medical consultations to new patients at the NUHS Whole Health Center in Lombard. Oriental medicine is the oldest codified system of medicine in the world and is safe and effective for the entire family. The World Health Organization recognizes more than 300 diseases and illnesses that acupuncture and oriental medicine can effectively treat and/or prevent, including: cardiovascular issues, digestive problems, respiratory conditions, pain, behavioral conditions, as well as men’s and women’s health issues. “Many of our patients find success with acupuncture and oriental medicine, even after other health care options have failed to give them the results they are looking for,” says Dr. Hyundo Kim, chief clinician for National University’s acupuncture and oriental medicine program. The NUHS Whole Health Center has expert clinicians and interns who are highly trained in traditional oriental medicine and acupuncture. The university offers masters degrees in both acupuncture and oriental medicine at its Lombard campus. To make an appointment for a free acupuncture and oriental medicine consultation, call 630-629-9664.
http://healthylombard.com/wp-content/uploads/2016/08/hl-logo.png 0 0 may http://healthylombard.com/wp-content/uploads/2016/08/hl-logo.png may2015-02-09 11:13:262015-02-09 11:13:26Celebrate Chinese New Year: Try Acupuncture Free! 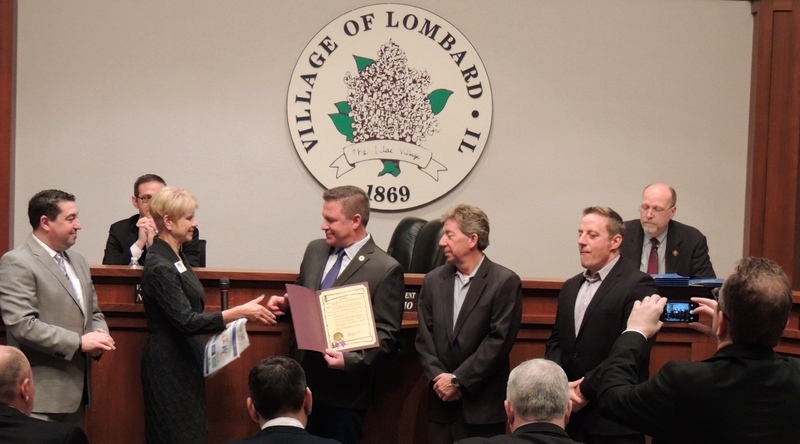 • Recognize the Healthy Lombard Model as a blueprint for other villages and towns to follow in order to make a difference in the health of future generations. The DuPage County Health Department is joining the national “Give Kids A Smile Day” observance on Feb. 6 by offering free services to children, including dental screenings for children with special healthcare needs, in two locations. Free services will be offered from 9 a.m. to 3 p.m. in Wheaton and Westmont to children ages one to 18 and no appointments are necessary. Call (630) 682-7400, ext. 7776, for information. Free dental screenings will be offered inside the Smile Squad mobile facility parked in the parking lot of the Southeast Public Health Center, 422 N. Cass Ave., Westmont. Free dental screenings and dental treatments will be offered in the Dental Clinic in the Central Public Health Center, 111 N. County Farm Road, Wheaton. The Health Department is pleased to announce that this year, in collaboration with our “Ready, Set, Smile” program, we will also be offering dental screenings to children with special healthcare needs. School dental forms will be given at both locations. 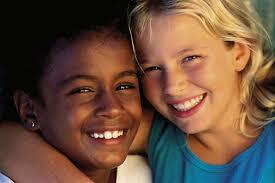 The Feb. 6 event is part of the national “Give Kids A Smile Day” sponsored by the American Dental Association (ADA). This activity began in 2003 as a way for dentists to join with others in the community to provide dental services to under-served children. Dentists and other team members volunteer to provide screenings, treatments and education to children throughout the United States. We know the mind body connection is real. Just ask PE consultant, retired teacher, and FORWARD Advisory Board member Paul Zientarski. Paul was inspired when he heard a Harvard professor speak about the positive influence physical activity has on the brain. Paul teamed up with a few like-minded individuals and together they developed the Learning Readiness PE (LEPE) program to prove physical activity has a positive impact on brain function. The Learning Readiness PE Program collects and analyzes data that proves students perform better in a class they are struggling in if they precede the class with physical activity. The research was a huge breakthrough in what Action for Healthy Kids refers to as The Learning Connection. Stated simply, healthy and active kids learn better. The Program has received worldwide attention and Paul has traveled the country presenting his brain research findings, explaining the effects of fitness and exercise on academic performance. His favorite moments include presenting brain science research to the Illinois Enhance PE Task Force and to the President’s Council on Sports, Fitness and Nutrition. Paul’s investment in the mind body connection goes much deeper than LEPE. He spent forty years as a physical education teacher. “Helping kids lead healthier lives has been a priority of mine for years.” The biggest struggle he’s come across is trying to educate parents on making smart and healthy choices for their kids. As a loving parent and grandparent himself, Paul says, “Every parent wants their children to be successful but they haven’t figured out that success and happiness come from children who are healthy.” He won’t stop until his message is heard loud and clear! The Anytime Fitness Blog shared that many of us started working out by just hopping on one of the cardio machines with the hope that it’d do the trick. However, understanding the anatomy of a proper workout will help you each and every time you’re in the gym. Let’s eliminate excuses and negative experiences forever with our 4-step workout plan. Each workout should serve a purpose and should have a definite desired outcome. Many athletes plan their entire season; including monthly goals and plans, weekly, and all the way down to the specific day. Of course, this takes a little more time and effort, but it pays off. If you don’t plan to that level, it’s fine. One day per week,just jot out your goals for the upcoming week, and include as much detail for each day as you’re able. And this takes only a few moments to do. Each workout should include a thorough warm-up. While this will likely be different for each type of activity, the necessity of a warm-up is constant. The goal of a warm-up is to get the heart rate to increase, to open the blood vessels, to warm up the body core temperature, and to prepare the muscles and connective tissue for the work ahead. A proper warm-up is critically important to not only improving the quality of the workout, but to help keep you injury-free as well. The Daily Herald shared on January 12, 2015 that wether cold temperatures have anything to do with catching a cold has long been a question that supposedly separates believers in old wives’ tales from the scientifically savvy. But while the cold-cold connection is widely considered a medical myth, a new study finds otherwise, Reuters reports. 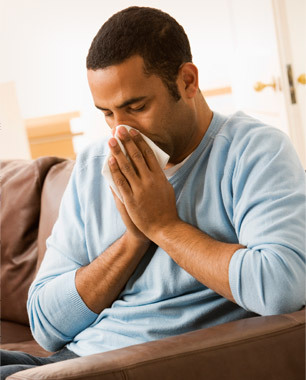 Even a slight chill increases the speed at which rhinoviruses, which cause the common cold, multiply in lab mice, said the study published recently by Yale University scientists. Cold temperatures also trigger immune-system changes that let the viruses replicate virtually unchecked. Scientists have suspected for more than half a century that rhinoviruses thrive in a slight chill. A 1960 study found that they multiply more quickly at 33 degrees Celsius (91.4 Fahrenheit) than at body temperature (37C, or 98.6F.). The new study, published in Proceedings of the National Academy of Sciences, confirmed that finding, showing cold viruses replicated more efficiently and produced higher levels of infectious particles at the lower temperature. But it also extended the 1960 results, pinpointing three biological effects of chilly air that can increase the likelihood of developing a cold. 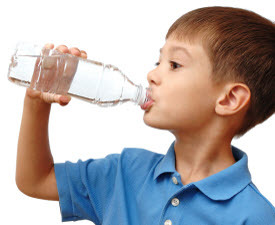 Stay hydrated by drinking about half your body weight in fluid ounces of water. 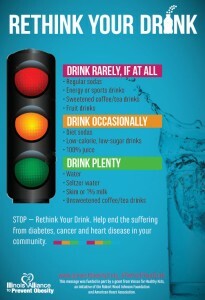 The bonus is that sipping on cold water helps you burn about 100 more calories over the course of a day! 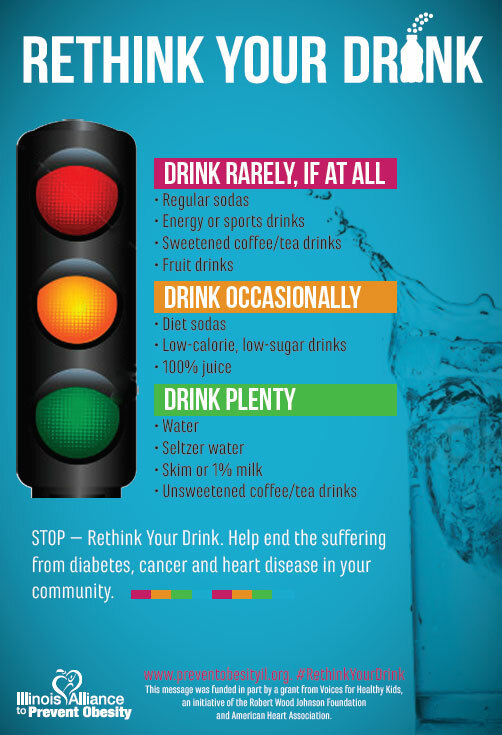 Dietician Julie Upton, MS, RD, of Appetite For Health recommends “drinking about half of your body weight in fluid ounces of water (or other calorie-free beverages). Cold water provides a brief shock to your metabolism, raising it by about 30 percent so that over the course of a day, your body will burn about 100 more calories.” It may sound like a ton of liquid, but it’s an absolutely doable amount; for example, if you weigh 150 pounds, Julie is recommending that you aim for 75 fluid ounces (or just under nine and a half cups of water) a day. If you’re a soda or juice drinker who is having a tough time making the transition to good old H2O, try these healthy water additions like lemon and mint that can amp up the flavor of your cup and double its detox power.